The creeks that flow into Salt Lake City have helped to shape the east bench neighborhoods, but just as important is the Wasatch Fault Line, which basically runs along 1300 East and is the reason there’s a steep drop off west of the thoroughfare. 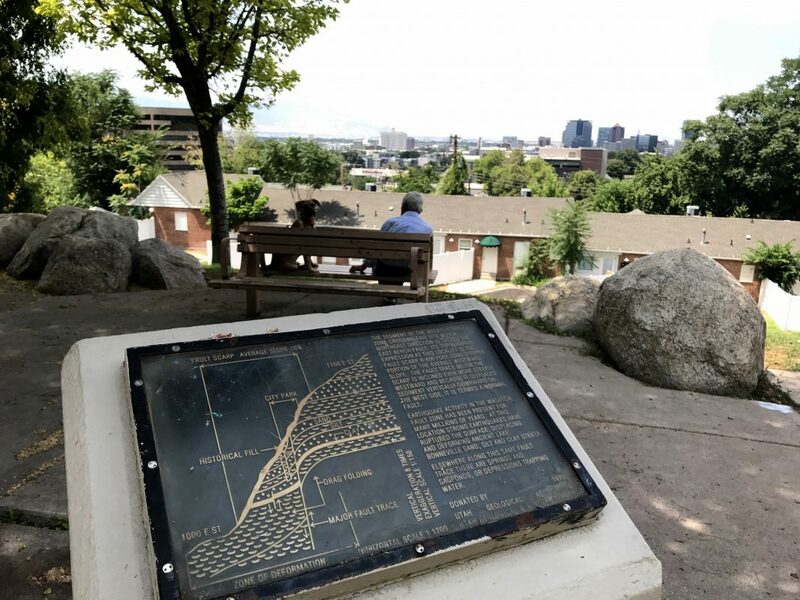 Few of the residents give it any thought, however — you’re not likely to find a homeowner who has taken out earthquake insurance.With a neighborhood park named for the faultline, that might not be true, however, for this quiet nook of the city, just north of 500 South. 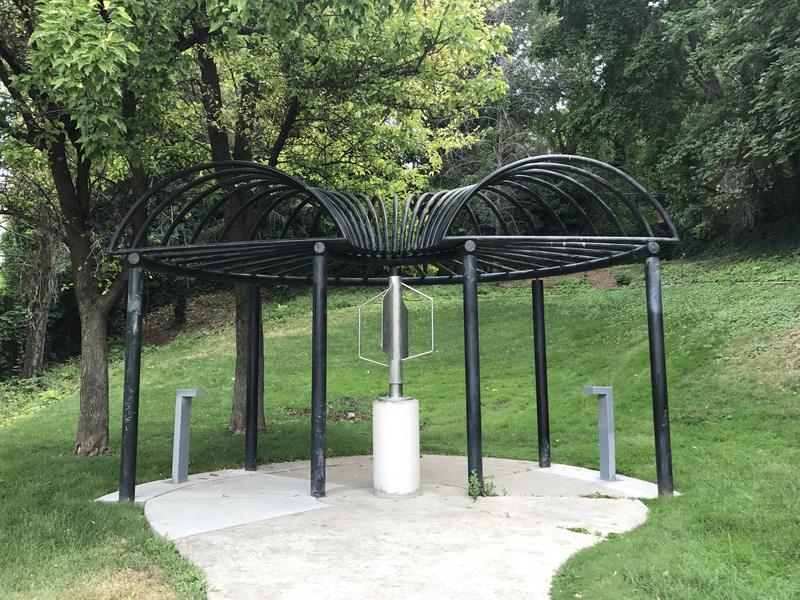 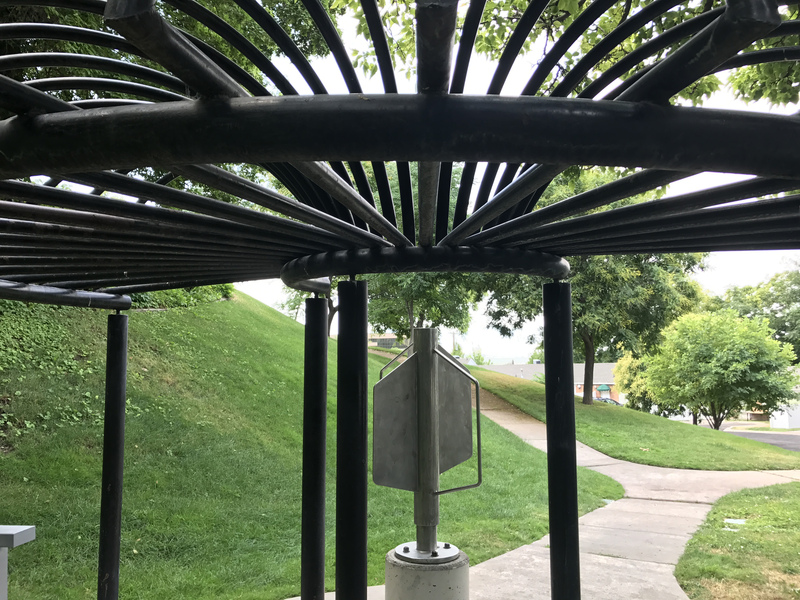 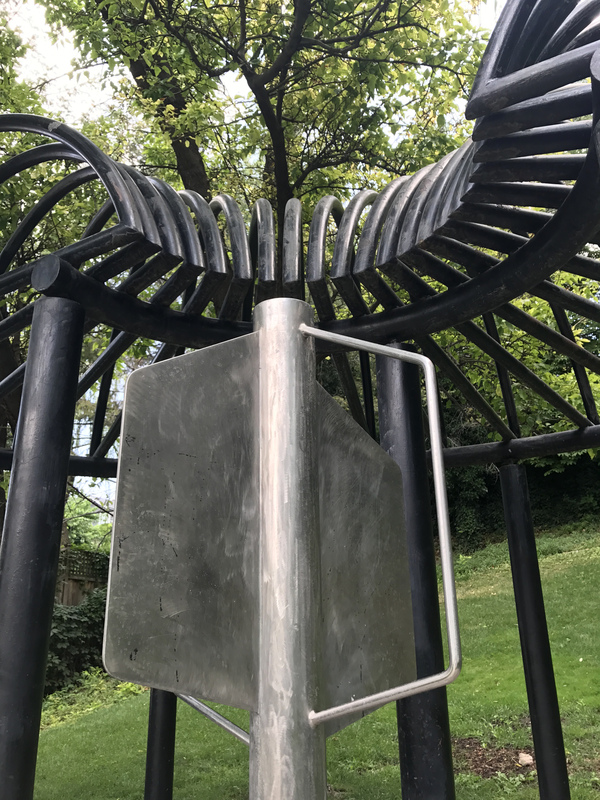 The small green space rests atop a particularly steep part of the fault zone, offering pleasant views of downtown and a 1983 steel sculpture by Darl Thomas.